Deborah Sinai was born in Milan, Italy in 1972. Since 1997, Sinai has been working as a freelance photographer in news, portraits and advertising and she had her work published in various national & international magazines and newspapers such as Il Corriere della Sera (Italy), ‘A’ RCS Magazine (Italy), the BJP and RPS magazines (UK), Photovision magazine (USA), The Jerusalem Post (Israel), Masa Aher (Israel), Time Out (Israel). 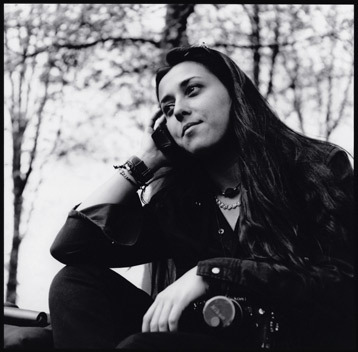 Deborah’s passion for photography touches many different aspects of the visual world, from portraits and reportage to the fine-art vision of a human body. Sinai creates images that stand for themselves, while at the same time making up part of a wider photographic project. She enjoy interacting with the subject of her pictures, since this ads sparks to her desire to explore and express its peculiar characteristics in a much deeper level. Deborah studied photography in the UK at the London College of Printing and The Central Saint Martins College of Art and Design and in Italy at the TPW Workshops and the John Kaverdash School. She also has a bachelors’ degree in Languages & Humanities. (Italian, English, Spanish and French) and studied Political Science at the Milan University College. Deborah Sinai is currently working as a freelance photographer in Italy, Israel and the UK (Corbis-Sygma, All Action, Grazia Neri, Contrasto, Big Pictures, De Bellis, Flash90). Not Like a Stranger: Group Project about 15 Refugees & Foreign Workers Families in Israel. Photographic Book published by ‘STUDIO Eyal Landsman+Eldad Rafaeli’ in collaboration with UNITAF. Personal Public: Project about how the usual daily life can be seen as unusual. Points of View: Project on self-portraits made by visually impaired people. Photographic book published by Contrasto-Extra & W.E.A. Full Empty Places: Reportage about Polish concentration camps as they are seen today. Exhibited at the event called " Memoria: I Sommersi e i Salvati " organized by ‘I Figli della Shoah' on the Holocaust Remembrance Day. Between Body and Reality: Project on the body seen as an expression of itself. Women by Women: Group Exhibition and Published Book on glamour female images. Eyes from Kenya: Portraits of the Masai Tribe in Kenya. Some Images are permanently exhibited at ‘Fratelli Alinari’ Museum in Florence. Traces of a Journey: Series of Black & White Portrait and Fine Art images.